At the beginning of the year, many people will take time to review the past year, what they've achieved, what they didn't accomplish and assess why they didn't. Then, they'll establish a long list of New Year's resolutions in an attempt to create the life they want. They dedicate themselves to tackling everything on their list at the same time. But this overloads the subconscious. One habit is hard to break. Trying to break several of them simultaneously is simply unrealistic. By the middle of January, reality sets in, stress arises and life overwhelms them. The subconscious and the Law of Attraction can't handle all the changes and life's challenges, too, so it abandons everything that isn't of primary importance. And then all those good intentions get forgotten as their subconscious deals with more immediate matters. One way you can be successful with a New Year's resolution is to prioritize them. Take the most important one and work on it. When you have incorporated it into your life and made it second nature, take the second one and work on it. You may not get your entire list done by the end of the year, but you'll have some improvements you can be proud of. But if you're disenchanted with New Year's resolutions, or don't want the pressure of specific goals, what about setting an intention for the year? Instead of being goal oriented, an intention is more a general idea of a quality, attitude or condition that you want to cultivate in your life. 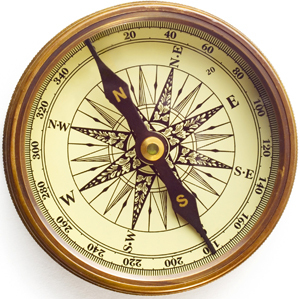 This can become your compass, pointing you in the direction you want to go. It will give your subconscious the guidance to help you fulfill your intentions. For instance, last year I set my intention to "Be open to more good" in my life. I chose to stop restricting the amount of good I'd allow to come to me (as many people do) and open my heart to it. Instead of bracing for difficulty, I shifted my attitude to expect something beneficial to come out of a situation. And I reminded myself that it was safe to experience more abundance and flow. As a result, I won or was given several gift cards during the year. As an intention, you could decide that you want to practice a value, such as compassion or empathy. Or you want to be kinder to yourself or exercise self-care. Maybe you want to be more diligent in your goals, be more focused or have more balance in your life. Confidence, self-assurance or assertiveness may resonate with you more. What kind of change do you want in your life in this next year? Setting your intention is important, but if there isn't any commitment and action, it remains intangible. So how will you apply it? If you've decided to be more compassionate, what attitude do you have to take when someone is rude to you? What will you tell yourself? To be kinder to yourself, what will you do for yourself? What actions will you need to take? Figuring out what you need to support your intention ahead of time will help your subconscious bring them into play when they're needed. Once you've decided on your mental and physical approaches, put together a plan to reinforce your intention. You could do this by using it as a mantra, turning it into an affirmation or autosuggestion, or visualizing it occurring in your life. For instance, I would imagine good flowing from the Universe into my body, filling me, and then flowing out into my life, and returning to me fulfilled. If there are actions you choose to take, make sure they're small, manageable and easy to integrate into your life. Once you've created your intention, remind yourself of it daily. Set your intention in the morning and think of it several times during the day. You could use a note, object or picture that would cue you to think of it. I have a small stone I bought that I associate with my intention. It sits in a tray on my desk to inspire me to expand my mind to encompass more good. If you're goal oriented, setting an intention can help you reach your goals more readily and easily. And if you prefer to be inspired by a specific purpose, this method will allow you to stay aligned with it. Either way, by the end of the year you'll have experienced greater positive change and improvement in your life.